It’s winter, so lets get active! 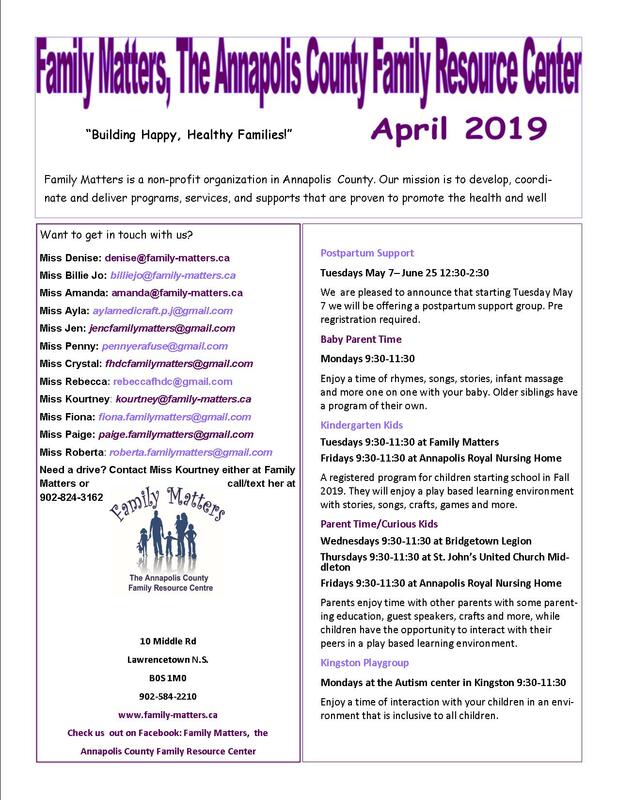 Family Matters is pleased to team up with the Annapolis County Recreation Winter Active Team over the next month. We will be doing a winter walk at the Rotary Park in Middleton on February 7th 9:30-11:30 and we will see them again at Fort Anne in Annapolis Royal on February 22nd 9:30-11:30. We have also planned a Skating Party on February 25 at the Lawrencetown Exhibition Youth Arena, the fun starts at 9am. Please remember, our policy is if school is closed due to weather, all of Family Matters programs are cancelled as well. Keep up to date and know whats happening by liking and following us on Facebook.